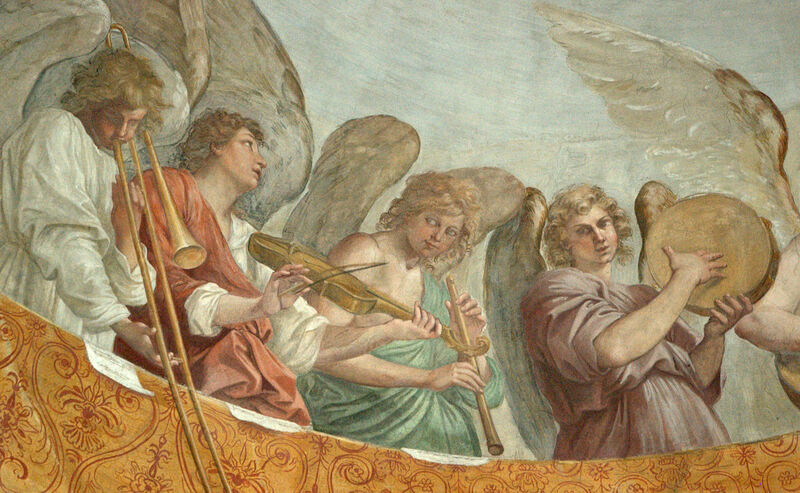 I just added the below caption and photos to the Trombone History Timeline (18th century) and to the blog post/collection, Perching on the Pipes: Trombone & Organ Images. 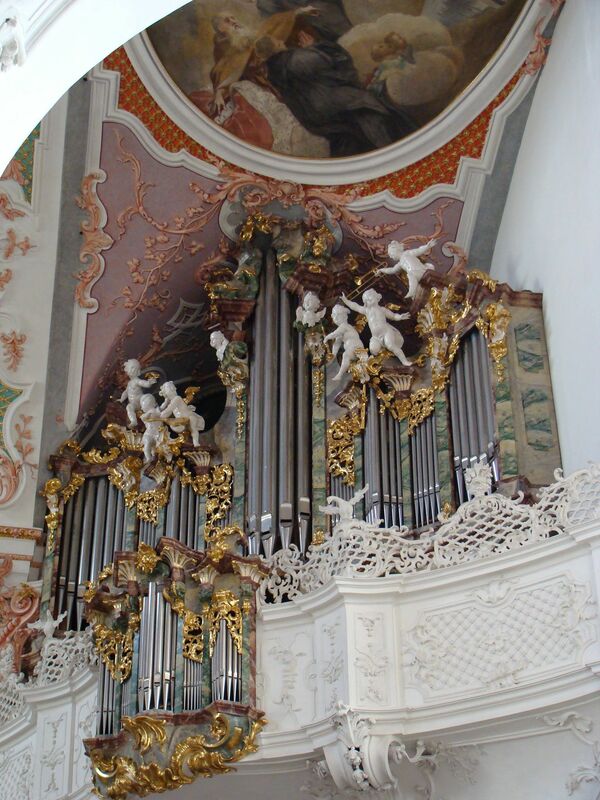 1754—Einsiedeln, Switzerland: The choir organ in Einsiedeln Abbey church is built. 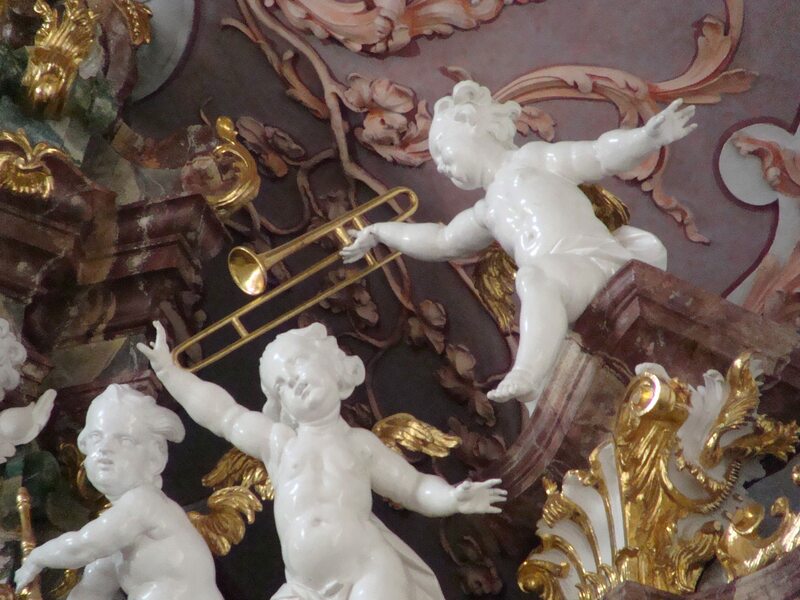 It is probably at this time that the organ is decorated as well, including a cherub holding a trombone (see detail and full image below; photos courtesy of Lukasz Michalski).